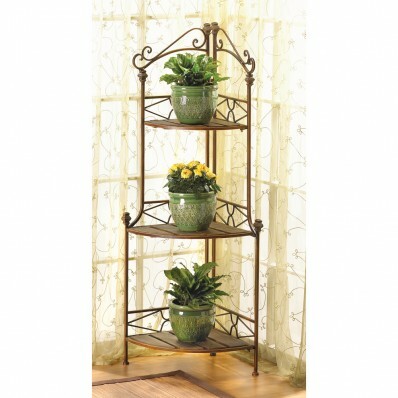 collectibles or plants, and you’ve got an instant designer display! Warm wood tones and ornamental scroll work add timeless style. additional freight charge. 14" x 14" x 47" high.